E tū says the equal pay settlement for care and support workers made a huge difference to the lives of these members and all women deserve pay equity. E tū members are among the speakers at rallies tomorrow, organised by the NZEI in support of pay equity for women in education. E tū’s Women’s Committee Convenor and aged care worker, Marianne Bishop, who will be speaking in Wellington says women must stand together if they are to win pay equity for all. “The support of other unions and community groups was crucial in helping us secure our settlement. Now it’s our turn to stand in support of pay justice for all women,” says Marianne. “I raised two sons on very low wages and it was a real struggle. The settlement made a huge difference. I’ve been able to pay off some debts, and for the first time in 6 years, I can afford a dentist, and I can see the doctor when I need to,” she says. Auckland home support worker, Shannon Crowley who will speak in Auckland saw her pay lift by $4.00 an hour, thanks to the settlement. She says it’s time women in education received the same recognition. “Things have to change for early childhood teachers and school support staff. They need an hourly rate that says they are valued. It happened for us and it’s time to stand side by side to make this happen for them,” says Shannon. 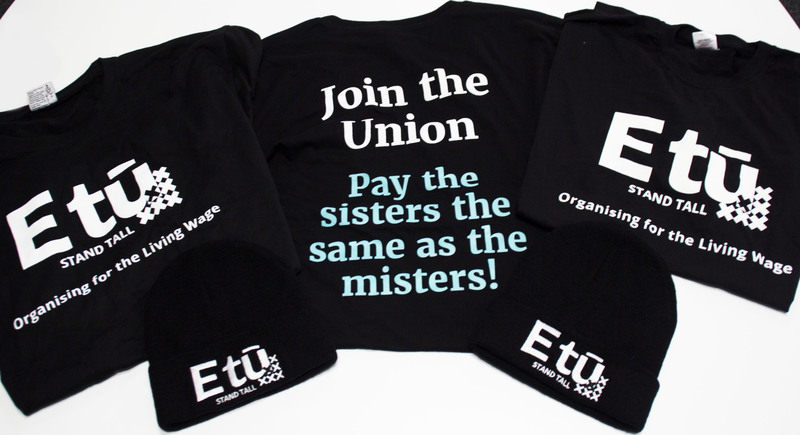 E tū’s Equal Pay Coordinator, Yvette Taylor says the union is proud to support women working in education. “These workers are undervalued for the highly skilled work they do,” she says. Yvette Taylor E tū Equal Pay Coordinator ph. 027 431 8486.